Yvette Stanton fra Australia er utgiver og designer for "Vetty Creations" (Facebook & Instagram: @vettycreations) Yvette er akkreditert med "Embroiderers Guild" of NSW og underviser broderingsklasser i hele Australia. 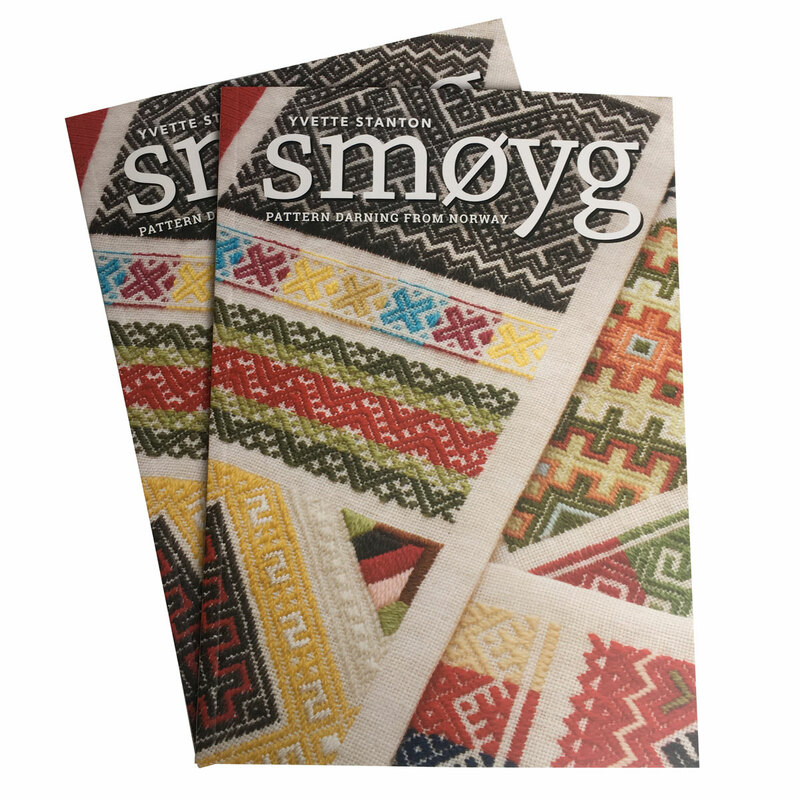 Boken "Smøyg: Pattern Darning from Norway" inneholder 13 vakre broderier. Her finner du historie om smøyg, bilder og "steg for steg" forklaring på sting og teknikker. Learn how to create 13 beautiful embroidered pieces by award-winning embroiderer Yvette Stanton, inspired by traditional Norwegian embroideryFrom the award-winning embroiderer who introduced you to some of the worlds most exquisite forms of traditional embroidery, comes a new how-to guide full of colourful images and enticing projects to help you discover the beauty of Norwegian pattern darning. Pattern darning is a simple technique, and beginners through to experienced stitchers will find much to delight in this book.